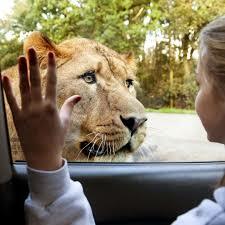 A dreamer had a lengthy dream in which she found herself confronting a lion in her living room. There was no fear on her part, and to her surprise, she found that she was supposed to cooperate with the lion in some way. Below is her dream retold as a metaphor. You can scroll down to my last posts to read the original dream. I’m in the place within myself where I spend most of my time. I go there to retreat into myself without the pressures of the outside world. It’s where I live. Inside this space, there is a large area where I can see out into my little corner of the world. From this area I see the part of me that is the king of beasts, as they say. It is Majestic, powerful, regal, not to be trifled with, impressive, a bit intimidating. It looks particularly kingly. There’s also a part of me that protects myself from the outside environment. It allows me to look through, but I don’t have to deal directly with the elements. But the kingly part of me was trying to break through that protection, to destroy it. This kingly part of me wanted into my personal space which I found threatening, just because I wasn’t sure I could control it once it was inside. I was pretty nervous. Well, there was no buildup. There was just suddenly a big, gaping hole in the wall that this kingly part could climb through. It could have been dangerous and might have threatened injury. But there was none of that. My concern was that I wouldn’t have the skill to handle the kingly part of me, that I might be hurt, or that something would go wrong. I didn’t feel that I had the training or knowhow to deal with this situation, and I knew it was potentially dangerous. I was trying to figure out some way to handle the situation, but there was no method of controlling this part of me. Yet I found myself manipulating the part of him that was almost like his power center. I’m sure the back of him is strong, too. But if he starts to attack or take action, it all begins with the part I was handling. I was trying to help this kingly part of me to make sure whatever took place would be unharmful and constructive. I wanted to steer the kingly part of me to something that was closer to its natural environment. I was paying close attention. We seemed to be working together for some reason. It was all new and odd, but I could tell that it was what I was supposed to be doing. We two were supposed to work together to achieve some kind of result. I could tell that it would be useful and beneficial, but I didn’t know what it was, yet. Tomorrow we’ll ask her what she thinks this is all about.